County Durham, Tyne & Wear and Northumberland Superleague Averages, Results and League Tables are now up to date. Writeup courtesy of Laura Patton. 10 Teams we’re entered into the Tyne and Wear Ladies super league 3-a-side competition and were played down to the semi finals, congratulations to last years winners from the Globe, Laura Patton, Jean Stanley and Maureen Purvis who will play The Teams Club’s Michelle Iley, Lynne Brannan and Angie Moodie in the final on finals night later in the season. The Globe beat Felling Cricket Club B’s Anne-Marie Urwin, Annmarie Potts and Debbie Waugh 3-1 in a close fought semi final. 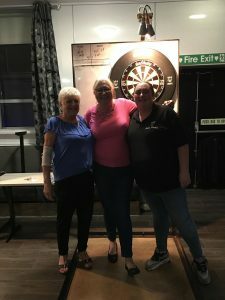 The Teams Club were 3-0 winners against Felling Cricket Club’s Tracey Curry, Sheila Douglas and Karen Murray. Durham and Tyne & Wear Men’s Superleague Results Updated on their pages. We now have the majority of fixtures online for the Superleague and Local leagues that are commencing this month and next. Durham Men’s and Ladies Superleague. Tyne & Wear Men’s and Ladies Superleague. 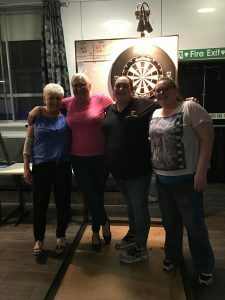 Cleveland Ladies Superleague. (Cleveland Men’s coming soon). Whitley Bay & Cullercoats Local League. Results and tables will be updated in cooperation with the league secretaries. Rob Howe & Eddie Mordica who compete in the Durham Men’s Superleague were victorious in Manchester at the weekend. 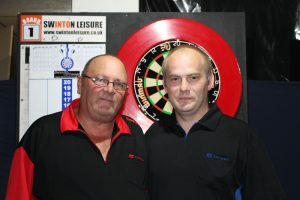 They won through the Northern Region Winmau Masters Qualifiers to gain entry into the Main Winmau Masters and World Pro Qualifiers. Both Chris and Laura will play in the World Pro playoffs in Bridlington on 3rd October. The Globe and Felling Cricket Club ‘B’ reached the final which will be played on finals night later on in the year. Winlaton v Felling B to take place on finals night. Mens Superleague Fixtures can be found HERE. Ladies Superleague Fixtures can be found HERE. Both Fixtures can be viewed on the Tyne & Wear Superleague page HERE. Durham Mens Superleague – Easington Win the Title. Durham Superleague Final Results online. Congrats to Easington Colliery on winning the title. Thanks to Stephen Hayers with providing the table, averages and results every week. AGM for 2018/19 season is at Willington WMC on Sunday 15th July with an 11 am start – all teams must attend if wishing to play in Durham Superleague next season. Report and Results courtesy of Laura Patton. 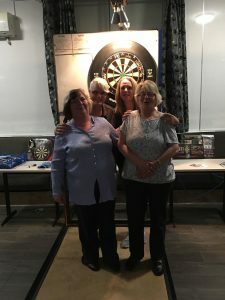 The night started with the pairs semi finals, with Maureen Purvis and Jean Stanley of the Globe proving to be too strong for FCC (A)’s Tracey Curry and Pat Coulson, with Maureen and Jean reaching the final with a 3-0 win. 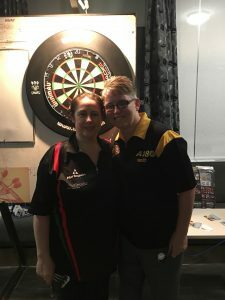 In the other semi final Laura Patton and Cheryl Roper started strongly with a 3-0 victory over Annemarie Urwin and Debbie Waugh which set up an all Globe final. In the final of the pairs competition it was a very close game, Maureen and Jean started stronger and were 2-0 ahead, Cheryl started the third leg strong and managed to get it back to 2-1, in the final leg with the score 3-3 it was Maureen and Jean who led the scoring, and then missing doubles which ultimately cost them, enabling Laura and Cheryl to catch up with some strong scoring and Cheryl taking double top out with her first opportunity to win the game 4-3. The Voyager are the team knock out winners despite some close legs and some excellent darts thrown by both sides. Felling Cricket Club (A) took and early lead and went 1-0 up, Geri Maclennan’s high scoring kept the pressure on the Voyager, in the next few legs but Caroline Dorothy and Marie Seago’s clinical finishing along with some missed chances for FCC (A) meant that the Voyager ran out 3-1 winners. The 3-a-side final was another close and well fought battle between Felling Cricket Club (B)’s Anne-Marie Urwin / Annmarie Potts / Debbie Waugh and Laura Patton / Maureen Purvis / Jean Stanley from the Globe. Although falling behind in the first few legs and being 3-1 down, excellent doubling from Jean Stanley ensured a spirited comeback and the Globe three, who were last years runners up regain their title with a 4-3 win. Annmarie Potts and Tracey Curry were the finalists of the singles competition. Tracey reaching the final for the first time and played well to put some pressure on Annmarie but missed chances along the way. Annmarie was too strong for Tracey over the duration of the match, with Annmarie ending up 4-1 winner to regain the Tyne and Wear Super League Singles title. There are a few catch up games remaining to complete the league and I will update averages and league table when these are all completed. Don’t forget the presentation night is 16th June, the qualifiers for the Winmau and world pro details are still yet to be confirmed, details will appear on here as soon as I have them. Results: Team Knockout Final – Voyager 3-1 FCC (A) 3 a side Final – Globe (LP/MP/JS) 4-3 FCC (B) (DW/AMU/AMP) Pairs semi finals – Globe (LP/CR) 3-0 FCC (B) (DW/AMU) FCC (A) (TC/PC) 3-0 Globe (MP/JS) Pairs final – Globe (LP/CR) 4-3 Globe (MP/JS) Singles final – Tracey Curry 1-4 Annmarie Potts. Well done Ladies and great write up by Laura.